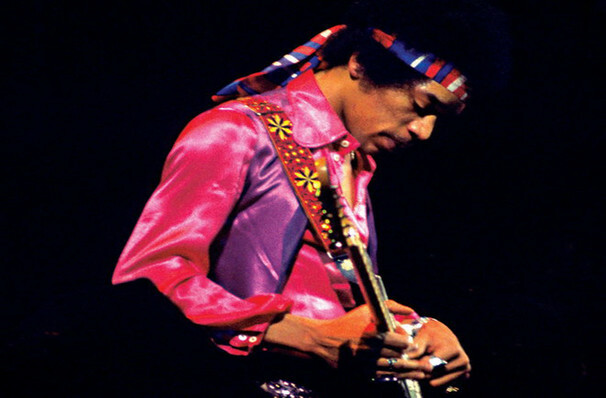 Arguably one of the world's greatest rock 'n' roll legends, his extraordinary prowess with an electric guitar has led Jimi Hendrix to never really fade from the spotlight, decades after his untimely death in 1970. For Experience Hendrix, is the considerable honor of tackling an unparalleled back catalogue, imbuing passion, respect, and talent whilst pursuing the sheer awesomeness of the man himself. 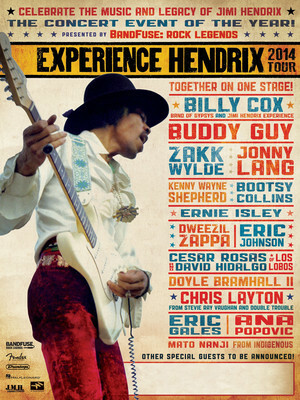 With each date of this tour featuring a range of diverse and truly iconic musicians celebrating his music and legacy, (from Billy Cox to Dweezil Zappa and many more) short of stealing a time machine and heading back to Woodstock in '69, this is the best way of experiencing the true, incredible spirit of Hendrix today. Sound good to you? Share this page on social media and let your friends know about Experience Hendrix at NYCB Theatre at Westbury. Please note: The term NYCB Theatre at Westbury and/or Experience Hendrix as well as all associated graphics, logos, and/or other trademarks, tradenames or copyrights are the property of the NYCB Theatre at Westbury and/or Experience Hendrix and are used herein for factual descriptive purposes only. We are in no way associated with or authorized by the NYCB Theatre at Westbury and/or Experience Hendrix and neither that entity nor any of its affiliates have licensed or endorsed us to sell tickets, goods and or services in conjunction with their events.